Neville Rowe was appointed as Château Tanunda’s Senior Winemaker in August 2015. Neville brings a wealth of experience to The Château, most recently from Hardys where he was responsible for the Eileen Hardy, Leasingham, Reynella and Tintara brands. He was previously General Manager of Sevenhill Cellars in the Clare Valley, another Australian historical treasure, General Manager and Winemaker at Mitchelton Wines in the Goulburn Valley and as Winemaker for Domaine Chandon in the Yarra Valley. 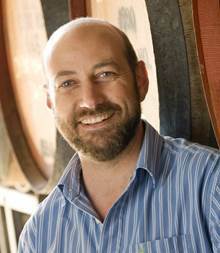 Neville studied Wine Science at Charles Sturt University, and in addition to his Australian experience, he has worked Argentina, Burgundy, California and Champagne. When not at the winery, you can find Neville racing his catamaran, spending time with his daughters or hiking in Australia’s bushlands.